Sara Jagielski is the founder of Joy Is My Armor, an Ashtanga Yoga studio in Hoboken, New Jersey. Not only does the studio bring the practice of Ashtanga Yoga to her local community, but it also serves as a platform for Sara to raise funds for charities. Right now that charity is the Wild Bird Fund, which rescues and rehabilitates birds on the Upper West Side of New York City. By donating its profits to these missions Sara's studio is able to both enrich the local yoga community as well as the work of important charities like the Wild Bird Fund. Currently Joy Is My Armor has a campaign on Indiegogo so they can continue their mission. Where were you born and raised? Tell us a bit about your childhood and how it influenced your passions today. I was born in Roger's Park, Chicago and spent most of my childhood on a farm outside the city in a small town called Hebron. My dad commuted an hour and a half each way to his job in Chicago, which seems very far, but I think he liked the idea of raising us in a rural setting. We owned Morgan horses, and showed them saddleseat, which is a type of English-style pleasure riding. We bred and raised a lot of other animals too, including doves, quail, pigeons, ducks, pheasants and chickens. My childhood was pretty eccentric. My sister and I had a lot of freedom to do whatever we wanted. We'd take a horse out on our own for a long ride through the countryside, go ice skating in the winter on a frozen floodplain in the pasture, and play on the rooftop of the barn (talk about dangerous!). One year, we even built a winter chicken coop near a window in our basement because we thought it was too cold for the birds to be outside. Winter mornings meant waking up to the sound of a rooster crowing in the basement. We also had a lot of chores too, mostly involving taking care of animals, but as long as we did those my parents didn't seem to mind what we did. Growing up this way left a lasting impression that the world was filled with promise, and I could do anything I set my mind to. It also gave me a boundless imagination and taught me how to be alone with my thoughts. To this day, though I appreciate the company of other people, I prefer getting lost in my head and don't really get lonely. Tell us a bit about your journey, when did you first get into yoga? How did you get into teaching? When we were kids, my dad taught me and my sister Hatha Yoga and a type of mediation called Yoga Nidra. Eventually, they bought us a book with illustrations so that we could practice. I remember really liking kurmasana, turtle pose, though I don’t like it so much today! I stopped practicing when I became a teenager and instead did amateur long distance bicycling. I was a very meditative sport, a bit like running, where you can lose yourself in the repetitive movement. I got back into yoga after college. My first real job was at an ad agency in Chicago, and they had a gym for employees. I'd walk across the street and practice vinyasa yoga. I remember that I felt so good afterwards, I couldn't believe I'd ever stopped. Then, a couple years later I moved to New York City and made it my mission to try different styles of yoga. I think I tried them all -- Bikram, Iyengar, Anusara, Jivamukti and even Tantric. Then one day in 2001, I walked into an Ashtanga yoga class. It was the toughest class I ever took, and it seemed to go on forever. The teacher was unrelenting -- posture after posture, transition and non-stop movement with interlinked breath. I thought it was the craziest yoga I'd ever experienced. So, of course, I made it my mission to master it. Now I realize how absurd that was. I’ve been practicing Ashtanga since then and still have not bested it, nor will I ever. I decided to teach Ashtanga because there is no shala where I live in Hoboken, NJ. The classes in Hoboken are mostly vinyasa and hot power yoga. I think that's fine for many people, but Ashtanga can deepen your practice and be personally transformational. I am stronger, kinder, better person because of Ashtanga. My mind is clear and my body is strong. I wanted to share this with my community, so I opened up my own Ashtanga studio in September called Joy Is My Armor. How does Ashtanga differ from the other disciplines in Yoga? What drew you to Ashtanga over Hatha and Nidra that your father taught you? The major difference is the way that it's taught, which is as a set sequence of postures in the same order with the breath linked to each movement. Students practice the Primary Series, or part of it, three to six times per week, 30 to 90 minutes each time. If and when those postures are mastered, the student moves to a second and third series of postures, called Intermediate and Advanced A. There are more series beyond this, but the level of difficulty is so great that most humans never attain them. I practice up to part of the third, but do so with laughter because it's crazy hard. Secondly, Ashtanga is taught as a self-practice supervised by a teacher in a group setting where students memorize the order of the postures. This is called Mysore-style. You can think of it as a "open gym" where everyone has a different start time and is working on different postures. It can seem a bit intimidating at first as a new student, until you realize that you're practicing at your own pace, building stamina and focus gradually with a community of like-minded people supporting you. Once a week the student will attend a "led" class where the teacher calls out the poses like any other yoga class. This ensures that you're not cheating the breath count and following the order properly. I started out enjoying the physical challenge, but ended up liking how grounded it made me feel. Because I had memorized the postures, I could unroll my mat anywhere at any time and practice. When I travel, the first thing I do is the primary series. I've done this in a tiny hotel room in Amsterdam, a river boat cruise in Germany, a sailboat in the Caribbean, by pools, in backyards and in other people's living rooms. It wipes away all of my anxiety and stress. I still practice Yoga Nidra because I enjoy the meditative aspect, but I don't follow Hatha at all anymore. I prefer the rigor of Ashtanga. Mindfulness is a cornerstone of yoga. You live and work between New Jersey and New York City, which are extremely chaotic places. How do you practice mindfulness amidst all of the chaos? Do you find you need to take a step back sometimes and if so what is your method of doing so? I love living in the New York City area. I am an introvert, so the chaos draws me out. If I lived in a quieter place I would not have a healthy lifestyle and probably would become fearful of the world. So for me, finding a balance here is easy. When I need to unwind I practice or teach Ashtanga, write or relax at home. Meditation is also very helpful to clear the mind. So we’ve heard you actually wanted to be an Ornithologist once upon a time. Where did your love of birds come from? Do you own birds today? As a kid, I was in charge of taking care of all the birds. So being an Ornithologist seemed a natural career goal. I liked the idea of living in a cabin in nature, studying birds. They’re fascinating creatures, diverse and quirky, a vestige of dinosaurs. It’s beautiful to think, from an evolutionary perspective, they crawled out of primordial sludge, grew colorful feathers, became winged and now fly above us. Today I only own one bird. He's an eight-year-old bright red Fire Finch named Sanjay. I don’t think I’ll own domesticated birds again for awhile though. I’m focusing more on caring for those in the wild. Tell us a bit about your work with the Wild Bird Fund. What do they do? How are you working to help them? 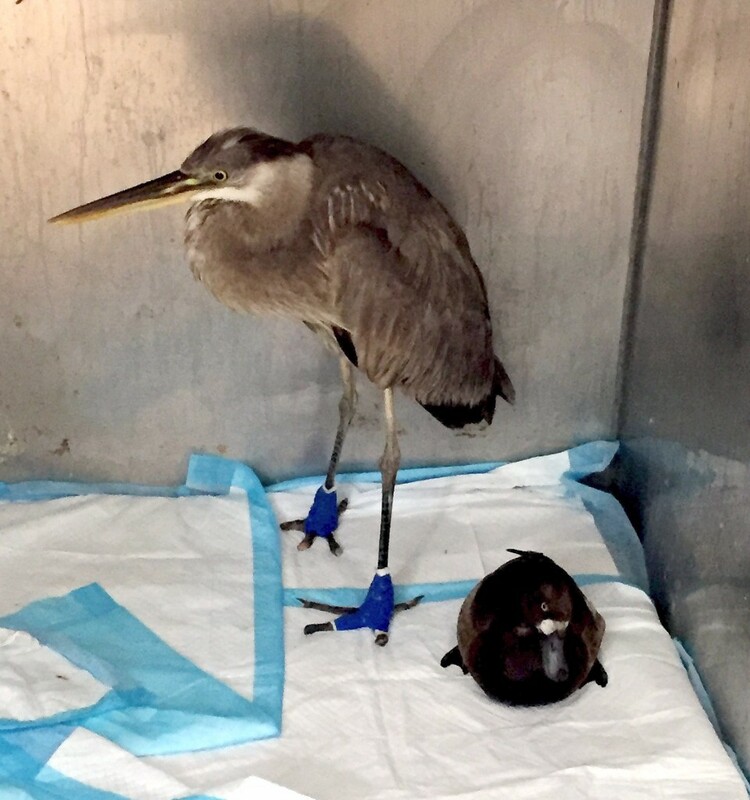 The Wild Bird Fund rehabilitates sick, injured or orphaned wildlife and releases them back to the wilds of New York City. They also educate New Yorkers on how to help wild birds thrive. They’re a 501(c)3 charity with a facility located on the Upper West Side. Each year, they rehabilitate over 5,000 of New York City’s birds. This includes medical diagnosis, surgery, medication, bandaging, splinting, physical therapy, feeding and sheltering. All native and migratory birds are treated, from common sparrows to swans and owls. Their work is accomplished through private donations and volunteers. I’m raising funds to help the Wild Bird Fund through my yoga studio, which I created to serve my students as well as the community at large. I’m not out to make a profit off of Ashtanga yoga. To me, that’s the antithesis of the practice. I just want to get the studio to pay for itself and donate whatever is left over. The Wild Bird Fund is enthusiastic to work with Joy Is My Armor. What are some of the more surprising birds that have come in to be rescued? There are a lot of birds that live in and pass by New York City during migration, so it’s naturally a diverse group. 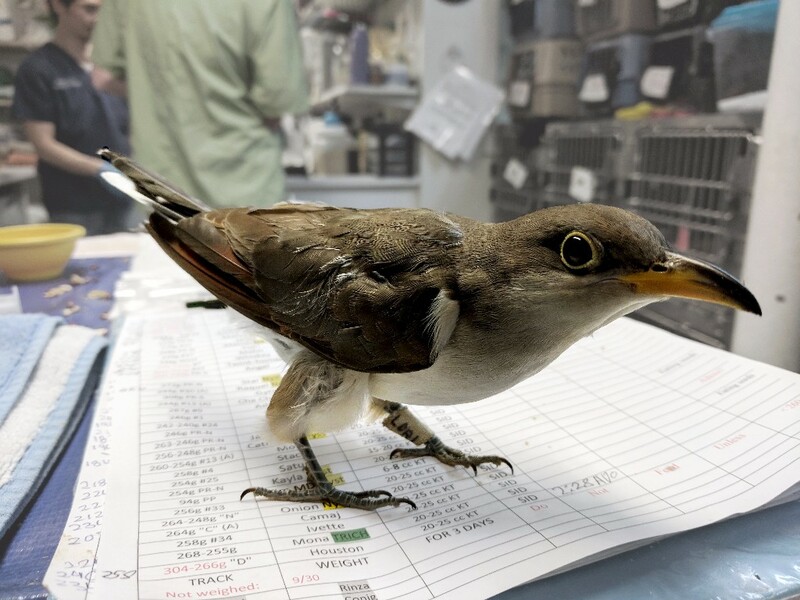 The Wild Bird Fund assisted a Yellow-billed Cuckoo who collided with a building in Brooklyn, then was attacked by a cat and lost its tail. It needed antibiotics to save its life. A Ruby-throated Hummingbird was rescued lying helpless in Harlem. He needed 2 weeks of rehabilitation before being released back into the wild to continue his migration to Central America. There was also a Great Blue Heron who had fishing line wrapped around his legs and feet with deep cuts. Fortunately, he was rescued by the Wild Bird Fund, treated, then transferred to another wildlife facility on Long Island where he could recuperate in an outdoor cage. He made friends with another bird named Jackson while he was staying on the Upper West Side. I think Jackson is a funny name for a bird. We were surprised to hear that there is a bird rescue here on the Upper West Side of Manhattan. Are any of the injuries to birds common and/or due to human causes? What can the average person living in cities do to be mindful of this and help prevent it? 90% of animals brought to the Wild Bird Fund are there because they were injured directly or indirectly by human activity. This includes being struck by vehicles, hitting skyscraper windows and falling pray to cat and dog attacks, as well as litter and pollution. A lot of garbage that causes injuries to birds, including everyday household items, like ribbon and string, plastic rings from 6-packs of soda and milk jugs. Cut these items into small pieces before throwing them away. Birds also get tangled in refuse along coast lines, including the Hudson and East Rivers. When walking along our city’s rivers and lakes, keep a bag with you and pick up any garbage that you think animals might get tangled in. Plus, picking up garbage will help beautify our city. Of course, if you see a bird in need, call the Wild Bird Fund. You can also place it in a paper bag and take it to the center. A paper bag makes a good bird ambulance because the bird can't strike the side in fear and injure itself further, as it can in a cage. If you do use a cage, put a towel over it so that the bird can’t see out. This will help it stay calm. What environmental issues are you most passionate about and what do you do everyday to try to live a more environmentally conscious lifestyle? I am really alarmed by the use of disposable plastic bags. I see people take them for one-time use and then throw them away. Where do they go? Gutters, oceans and landfills. I hope one day soon that we'll have to pay for plastic bags to encourage people to bring their own, as in many parts of Europe. I carry my own bags with me. Also, let's talk about cars. One of the reasons I like living in New York City is because we have access to public transportation, can walk or bicycle. It's environmentally friendly to avoid driving when possible. My husband and I own one car, but we only drive once or twice a month and would rather bicycle or walk. I also pool rides when I can. Pick up a friend or co-work and drive together. It’s much more fun!